American + Whitewater: What is there not to love? 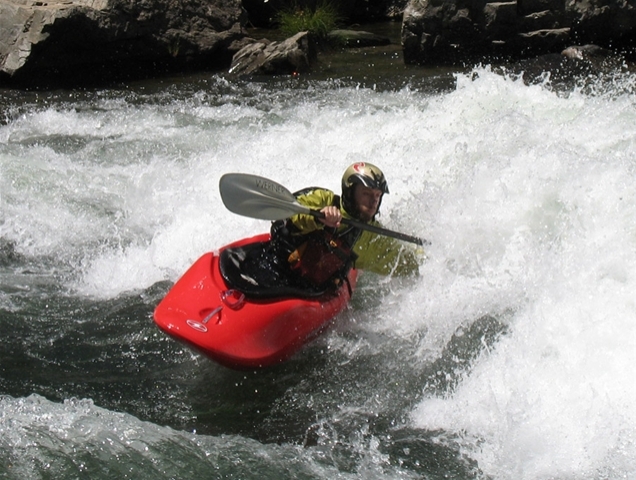 I am proud to say that I have been a member of American Whitewater (AW) for almost 15 years. Even when I was in college, waiting tables and taking student loans, I found a way to mail my membership check. I don’t share this to convey that I am special. In fact, I am ashamed to say that I haven’t done more for AW. Money and time are two things we all wish we had more of, right? But how often do you spend the two just trying to get closer to a wild, free flowing river? The point is you can afford to be a member. You can afford to support the only organization working exclusively to conserve and restore whitewater rivers. The world certainly isn’t making any more of them. Just look at what they have accomplished in California. Of course, I love AW’s choice of photos for California! It was actually quite a surprise when I picked up the mail today and looked through their 2009 Summer Appeal. Meanwhile, AW has made many more strides in the Southeast, Mid-Atlantic, Northeast, Rockies Pacific Northwest, and the Midwest. None of these efforts are ever easy and often mired in bureaucracy, lobbying, and special interests, yet they keep going, deriving renewed motivation from sometimes small but significant steps forward for the benefit of us all. So, please don’t let the river gods trounce you in giant nasty hole. Join Now! That is what the guy who worked at the kayak rental shop told me when I asked about sea kayaking to Egmont Key State Park. Why, I asked? “Full moon, out-going tide; it’s like Niagra Falls out there right now,” he said. Well, I certainly do not want to get swept out to sea, I replied. “I’ve been out there when the buoys were almost laid down flat from the current,” stated one of the other kayak rental attendants. “I’d suggest you go to the island in a motorboat before you attempt to paddle out there. At least wait until there is an incoming tide,” he added. It was at this point that I began to actually question whether I should paddle out to Egmont Key. It could indeed be risky. I’d lived in the mountains a long time – maybe I was underestimating the swiftness and power of ocean currents? I had heard about the beauty and history of Egmont Key, but I had also heard that the paddle across the deep water shipping channel was only for experienced kayakers. “Try out the kayak course behind the island,” suggested the man behind the counter. I thanked the guys at the shop and headed back to my car. I looked out towards the Gulf of Mexico and thought, are these guys messing with me? I could see the island just 1-mile offshore. Surely it could not be that difficult? But a voice inside of me said, perhaps you should be prudent. I continued to justify that rationale by thinking, I haven’t paddled the backside of the island yet…and I don’t want to flip out there and end up as shark bait. It was then that I decided to err on the side of caution and put-in on the established kayak course. I would tackle Egmont Key another day. I put my Perception Carolina Kayak in the water, threw in a cooler and a fishing rod, and stuck off north towards Mullet Key and the outlet to the Gulf between Fort de Soto and Summer Resort Key. I rode the current out and spent some leisurely time casting my rod towards the oyster banks and the mangrove roots in hopes of catching a bass or snook. At one point, I was startled by a large shape moving under the water towards me, but relaxed when I realized that it was just a manatee. I caught sight of some others and enjoyed following their sea shadows and intermittent surfacing until I lost them at the northern point of the island. I was still bothered by the fact that I had originally planned to paddle out to Egmont but relented at the last minute. I chewed on this as I pulled over to take a swim on the front side of Fort de Soto. The water was clear and blue and stretched wide over an unending bank of shallow white sand. The water was refreshing; but I was not satisfied. Eventually I found myself donning a spray skirt and lifejacket. I’ll just paddle a ways down the front side of the island and see how I feel, I decided. I cruised offshore, casually dipping between the waves, and progressively made my way down the length of the island. I should just paddle out to the shipping channel and see how the current is, I thought. I can always turn around. I kept paddling until I eventually found myself directly across from Egmont Key with nothing but the 90-foot deep shipping channel between me and my target. There were plenty of boats around; in fact, some of them were actively engaged in rod-bending fights with Tarpon and other large sea creatures. I figured if anything went wrong they could at least rescue me. So, I struck off for the other side. Sure, if you have not spent much time in a kayak and cannot roll one on your own then you should probably refrain from making the trip. But for someone who is in fair shape and capable enough, it really is not that hard. Granted, I’ve been kayaking once or twice myself, but it is really just a matter of ferrying across some current. Who knows, it is quite possible that there are times in the tide cycle where it gets worse, much worse. Egmont Key State Park is really quite beautiful. Between the open beach front littered with palm trees, migratory birds, and turtle nests, and the interior island with its old lighthouse, red brick thoroughfares, and ruins, there is plenty to see and do. Wander the island or simply relax and stare out across the Gulf of Mexico. Either way, there is something romantic about the fact that Egmont was a resource for settlers in the 1700s, a place where Seminole Indian prisoners were kept in the 1800s, and a base for troops during the Civil and Spanish-American Wars. When I happened upon an article on CNN.com titled, “Florida’s Caladesi Island named nation’s best beach,” and subsequently realized that it was not but a few miles from Tampa, Florida, I figured I better go check it out. I mean, if “Dr. Beach” says its cool then it must be cool, right? Stephen P. Leatherman, a Florida International University professor dubbed “Dr. Beach” has been compiling his list of the nation’s top beaches since 1991. He takes in to account many different factors including, amenities, remoteness, quality of sand and water, and undoubtedly, the opportunity for peace and relaxation. My wife and I opted for sea kayaks and enjoyed exploring the back side of the island, as well as the front side. Despite the healthy population of people, the beautiful blue water and natural scenery do make for an idyllic setting. The only other nagging aspect that detracted from it all was the fact that you could see development in the distance no matter which way you looked. There are other beaches in Florida, as well as other places in our nation, where you do not encounter this. To each his own, right? Some people want to go to a beach to socialize, others want to escape humanity. I’m just not sure that I would call Caladesi Island the nation’s best beach; but I am not a doctor of beaches either. If you are going to go sea kayaking in Tampa, Florida you better bring lots of gas, a big outboard engine, and your racing stripes. We take sea kayaking here seriously people! Personally, my paddle converts into numb chucks just in case I get pissed off, which is a lot. To get ready I generally shove cigs, cold corn beef hash, and Folgers Crystals into my craw. I then chase it all down with a Big Gulp from the 7-11. This magic combo gets me fired up to convene with nature even though I would really just prefer to shoot everything that comes near me. Also, don’t get too close. My kayak has an exploding tip, and I won’t hesitate to paddle into your’s if it suits me. You should see me coming though. I generally have my tunes playing pretty loud. Actually, it is quite the opposite. I really like the health and stealth a sea kayak brings me. 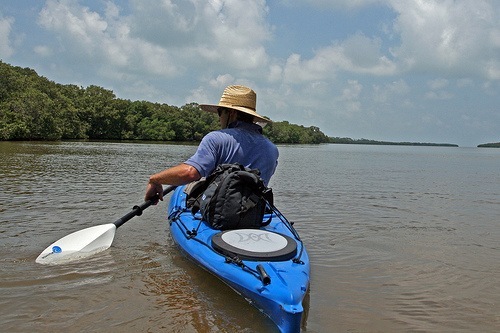 A motorboat can be a good option, but if you are looking to get into places where they can’t go, achieve a nice upper body workout, and maybe even sneak up on some fish in the flats, a sea kayak is a great way to get out and explore. In the time I have been in the Tampa, Florida area I have managed to discover quite a few nice places to explore in a sea kayak. Many of them are within an hours drive of downtown Tampa and can easily be accomplished in a day or less. Choose from brackish rivers, saltwater estuaries and white-sand beaches; it is all up to you as to what you want to experience. What is amazing about the state of Florida is that it pumps out an estimated 8 billion gallons of spring water on a daily basis. Percolating up through, around, and down the limestone layers that make up the state, a significant portion of this water either finds its way into Tampa Bay, or in close proximity to it. What’s more, Tampa Bay constitutes 300 square miles of open water filled with opportunities to dip a blade. There is a reason why it was such a favorite hiding place for pirates back in the day. Here are a few sea kayaking trips around Tampa to get you started. The Weedon Island Preserve offers a 4-mile long canoe and kayak trail that winds through mangroves, lagoons, and across open water. It takes about 3-4 hours to complete and is marked with numbered signs to help keep you from getting lost along the way. There is a Cultural and Natural History Center close to the put-in that details the life of the former inhabitants, and right across from the entrance are sea kayaks for rent in case you need one. The paddling through the narrow alleyways is a great experience. Look for the countless little fiddler crabs that cling to the mangrove roots, and keep a sharp eye out for mammals crossing the passages. You will most certainly see a myriad of bird life including, herons, egrets, ospreys skimmers, spoonbills, white pelicans, and wood storks. If you are lucky you might see a bald eagle or even a manatee. There are also some hiking trails and an observation deck if you want to do some more exploring on foot. Be sure to make your plans around the high tide; otherwise, it gets too shallow in the places you really want to see. There are some great fishing spots in the area, so you might also want to bring a rod. Finally, bring bug spray for that afternoon take out. Every time I’ve been to Weedon Island the gnats have been ferocious in the afternoon, and there is nothing more agonizing than trying to tie your kayak on the car while being molested by these little creatures. The Hillsborough River is just northeast of downtown Tampa and offers several sections to explore by kayak. You can choose to set a shuttle to avoid retracing your steps, or paddle in and out. There is easy access at the Hillsborough River State Park, and you can ply upstream or downstream and still return with relative ease. The mix of hardwoods, palm, and cypress knees make for a beautiful combination, and it really lends itself to that feeling of “Old Florida” you so often hear about. Alligators, turtles, and birds abound, so you must be comfortable with the rustling and bustling of wildlife around each turn. If you are fortunate enough to witness dozens of white ibis take wing over the course of the river that alone is well worth the trip. I for one was completely enamored with the beautiful reflections off of the brackish waters, the calm stillness, and the fact that hardly anyone was around even on a weekend. If you want to mix it up you can also bring a bike with you. There is a maze of trails in the park to explore and a nice loop that equates to about 25 miles. The Myakka River State Park is about an hour south of Tampa on the outskirts of Sarasota, and it is an absolutely wonderful place to visit. It is one of Florida’s first state parks and Wild & Scenic Rivers. Even if you just want to walk or drive around it is well worth the trip, but the people that really get it bring a bike or a kayak. You have to obtain a permit if you want to paddle into the Preserve. The ranger station only gives out 30 per day, and there is no advance reservations allowed. I saw nary a soul when I went and had no trouble getting one. Even if for some reason a group grabbed all the permits you would still have plenty of worthwhile places to paddle, including the Upper Myakka Lake and the parts of the river that are not in the Preserve. If you are looking to see alligators, this is the place. In fact, I would strongly advise never putting yourself in the position of tipping and having to swim. What is it about a thin colored piece of plastic that convinces a 2 million year old mind that you are not easily edible? At one point I was paddling around a very narrow and overgrown sluiceway when I rounded the corner and locked eyes with an alligator that was easily 12 feet in length and just a few feet away. There was a pause, and then there was an explosion as both parties hastily went their separate ways. I marveled at the raw power of the alligator and the rapidity of my heart before deciding I had experienced enough. After successfully exiting the river, one should take time to explore the Canopy Trail and the bird walks, for there is plenty to see and experience here as well. It is these well-organized and cared-after parks that makes me take pause to appreciate what tax dollars and motivated individuals can do to protect a very valuable place. Stop by the coral monument and give thanks, and then give a high-five and a big smile to the rangers when you leave. Anclote Key Preserve State Park is located two miles off of the coast of Tarpon Springs and approximately 45 minutes north of downtown Tampa, Florida. It is a beautiful island that features both back and open-water kayaking with abundant bird life and great fishing opportunities. The best way to sea kayak it is to launch from Fred Howard State Park and paddle straight across. It is best advised to have a spray skirt and pump in case it gets choppy, for you will cross some exposed open water and a waterway for motorboats. There is an old abandoned lighthouse on the island that was built in the 19th century, as well as a campground if you want to stay overnight. According to the website, “these northernmost barrier islands are considered by experts to be among the top five sites in the state for diversity and numbers of beach-nesting birds.” I can tell you this, I saw a multitude of birds and more. It is absolutely beautiful out there, and you will feel like Robinson Crusoe walking down that white-sand beach. Paddling back to Fred Howard State Park I watched a a very large Tarpon launch some 4-5 ft out of the water and caught several blue fish on an artificial lure. My suggestion: plan to have time to check out Tarpon Springs after your paddle. It is an old Greek community that has made history from the practice of diving for sponges. The town is rich with colors, sounds, and smells of the Meditteranean, and a photographers dream with the old boats, nets, and people laying about. You will certainly get an appreciation for time and place despite the town’s attention to tourism. Emerge from the ubiquitous development and the pervasive amounts of people, cross the bridge, and boom, paradise. It would serve you well to go on a weekday, but if not, it is still worth the venture. Fort de Soto has consistently been voted as one of “America’s Best Beaches” because, well, it is. Palms, white-sand, and blue water stretch for miles in either direction. Choose to put in a rigorous 10-mile loop, or just cruise around and catch trout and bass on the fly. Put your kayak in on the front or back side of the island, and no matter what you will have plenty of paddling options. You can even make the 2-mile trip out to Edgemont Key if you don’t mind open water. Just remember it is 2-miles back. 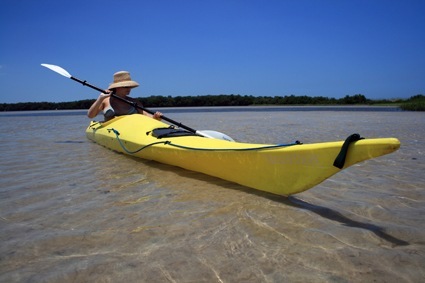 If and when you are done sea kayaking, you can proceed on foot and explore the old forts that are located on both Fort de Soto and Egmont Key. At one point these were major staging grounds for soldiers, but now they stand vacant in the tropical sun. 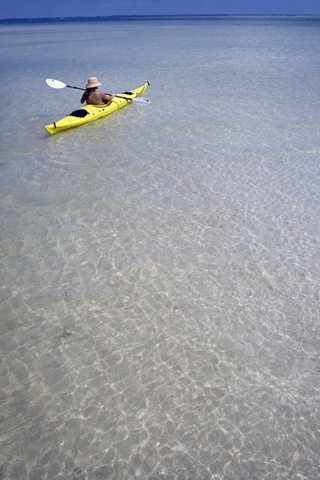 There are kayak rentals and tours out at Fort de Soto if you need them. This island can get quite crowded on the ocean side, but behind the island you will often see nary a soul. I like this paddle because it is a good distance for me from the causeway, just before the entrance to the park, to the far point of the island and back again. If you are feeling especially expeditious then you can paddle across the Saint Joseph Sound to the far island between Anclote and Honeymoon. There are several stops along the way, including Pelican Cove. Bald eagles nest here along with many other shore birds. Paddling close to the mangroves you will see snook, bass, and several other tropical fish. If you paddle around the horn to the ocean side you will generally see several dolphin schooling about, for this seems to be a popular spot for them. I highly recommend picking up a copy of John Molloy and crew’s book, “Canoeing & Kayaking Florida.” The descriptions are excellent, and there are helpful guides for running the shuttles and navigating the various nuances of Florida’s waterways. Also, the folks at Osprey Bay Outdoors are extremely knowledgable and friendly, and they organize regularly scheduled trips all over the Tampa Bay area. Spring in Lake Tahoe is one of my favorite seasons. Snow still blankets the mountains of the Sierras, and the lower elevation rivers rise as the days grow longer and warmer. It is this time of year that I find myself having to make the difficult decision of skiing vs kayaking. As I prepare for an upcoming California road trip, I can tell you that the gear I am planning on taking is getting a bit overwhelming. Just thinking about trying to fit it all into a little biodiesel powered VW TDI has me wondering if I need a semi-truck. 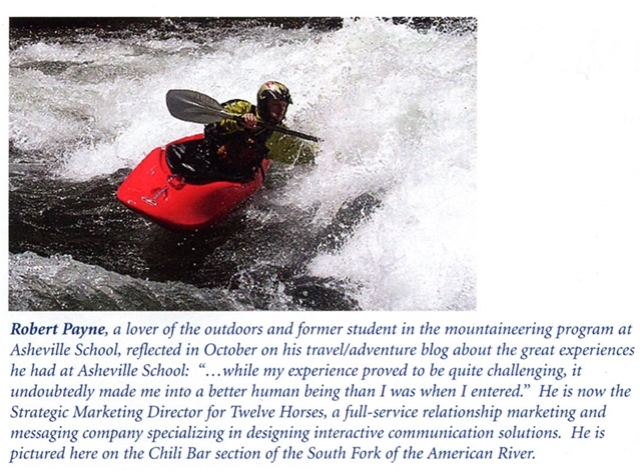 No matter what the weather dictates, I inevitably find myself catching up on whitewater community sites like boof.com and americanwhitewater.org, as well as looking through old kayaking photos to remind myself that I still know how to boat. Here is a little slideshow of some kayaking” I have accumulated from years past. Can you tell which ones I took with an old 35mm camera and slide film and then scanned? This is some footage from this past summer that I had sitting around, and being the type of person that does not like to waste anything, I decided to slap together a quick video. The main point to it is – the video is of a friend of mine, Brad Brewer, who I met in college at Clemson University, and subsequently taught me how to creek boat years ago. 5 swims and fun had by all. At least no one vomited from exhaustion like the guy who just beat me by a few seconds the last time I raced. While I didn’t get a chance to shoot video this time around, you can check out some Cherry Creek action from this video I put together a few weeks ago. Thanks to Keith for all the logistics, effort, and money he applied to make it a great party, complete with live music by Kipchoge right on the banks of the Tuolumne River. Here is a little taste of the tunes that I shot from my beach chair as I relaxed under the stars. Not very professional, but basically I just wasn’t into filming and simply wanted to listen. Either way, it gives you a taste. Notice you hear the river directly behind them. We are an hour away from pavement down a steep and treacherous road. Here are a few mug shots of some of the racers and general attendees. For the week of July 4th I found myself at the bottom of a river canyon with no cell phone reception, no Internet connection, and nothing to do but kayak and kick it with a dozen friends who were all there to do two things – paddle Cherry Creek and forget what we do on a daily basis. 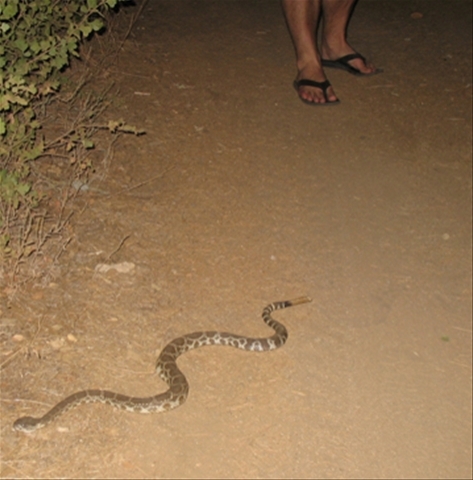 The only stress I experienced over the course of the entire week was the unfortunate run-in with a rattlesnake. Several of us were in the midst of an extremely competitive bocce game when we first became aware of its presence. It crossed a dirt road that we were on and hunkered down in a hole presumably built by a mammalian species. I threw a warning rock across its bow and hoped that it was the last I would see of it; but alas, it was not. Later on that evening it presented itself again. If it were not for the fact that we had a campground full of paddlers sleeping on the ground and dogs oblivious to the powers of poison, I would have left it alone. I don’t like killing things unnecessarily, but in this case it was a problem. 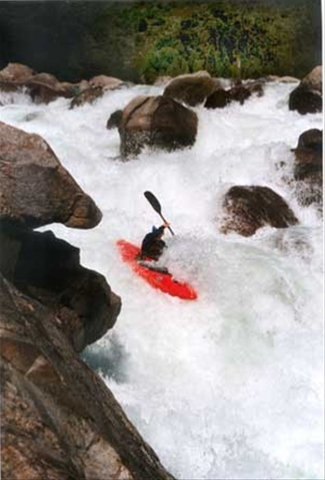 Kayak paddles can serve multiple functions, some of which do not involve actual paddling. A swift blow to the back of the head, a few saw-like motions, and it was not long before I had extinguished the life of this poor yet deadly reptile. I thought for sure I would pay for this action on the river the next day, but as luck would have it I was spared. Regardless, I am sorry rattlesnake. It is not your fault that you were engineered with an extremely effective defense mechanism. It just so happens that humans have a pretty good one too.